Editor’s note: Brad Garlinghouse is CEO of YouSendIt, the cloud file collaboration service. Brad previously held senior executive positions at AOL and Yahoo. He’s also an avid angel investor in and advisor to several consumer and enterprise tech companies. Follow him on Twitter @bgarlinghouse. The news that electric car company Fisker Automotive could potentially be acquired by Chinese automaker Dongfeng Motor for about $425 million reminded me of an article that’s been eating at me for some time. VentureBeat published the Top 15 venture capital deals of 2012 where Fisker was rated as the year’s “top” deal. This top rating despite the fact that Fisker has raised more than $1 billion in capital and is now likely to be sold for a fraction of that amount. So what’s with the article? To be fair to the writer, the list is actually a compilation of the year’s largest venture capital funding events based on data provided by Pricewaterhouse Coopers and National Venture Capital Assocation. But the headline pulls no punches and proudly equates size with best. Yes, size matters but in reality, the larger a deal the less likely it is to deliver outstanding venture returns. As renowned VC Bill Gurley puts it: “You can’t make money with a consensus accurate prediction.” The names on the list represent the consensus view on emerging markets and their leading players. Each of these companies is expected to deliver some kind of positive investment outcome whether it’s an IPO or acquisition. But as any gambler knows, when the odds are in your favor, the only way to make real money is to lay down a sizeable stake. They also know that this is a quick way to lose a lot of money should the bet turn out badly. Much of the tech media appears blinded to any risk by the sheer size of the stacks being brought to the table. There are parallels with the original dot-com boom when the media lauded huge investments in companies like Webvan or the $300 million pumped into the infamous pets.com. When a glut of these consensus predictions suddenly proved inaccurate, the subsequent crash was painful. I’m not suggesting that the 15 companies on the list are doomed to a similar fate. Many of them will no doubt continue to be successful, if not at the grandiose levels these late-stage investments might suggest. But what is concerning is the media’s insistence that investment size is the primary determinant of successful venture deals. This will only serve to inflate the unsustainable bubble already surrounding some of Silicon Valley’s best-known companies. It’s far more likely that 2012’s top venture capital deals — as measured by venture returns — are companies still very much under the radar. They are businesses that are extremely capital efficient, making the deals more like Benchmarks’ 1997 investment in eBay or Peter Thiel’s $500,000 Facebook stake in 2004. So I’m going out on a limb and proposing an alternative list of 15 decidedly modest investments from last year. These may not be headline-grabbers and it will likely be years before their true worth is realized, but they are my predictions for the real top 15 venture capital deals of 2012. Anaplan: $11.4 million. San Francisco-based Anaplan provides cloud-based modeling and planning for operations and finance. Though the company is competing in a mature market with big players like Oracle and Microsoft, its new technologies and high-quality product offerings are driving big contract value enterprise deals at an unprecedented rate. Anaplan raised $11.4 million in Series B financing in January 2012 from investors, including Granite Ventures and Shasta Ventures. Betable: ~$3 million. U.K.-based Betable allows developers to incorporate fully licensed betting mechanisms into their social games. Though current online gambling restrictions mean this technology is not permitted in the U.S., the company has obtained licenses for major gambling markets in Europe and Asia. Betable raised an undisclosed amount (rumored to be around $3 million) in July 2012 from a variety of investors, including Greylock and CrunchFund. Crittercism: $5.5 million. San Francisco-based Crittercism is a mobile app performance-management solution. Monitoring errors and crashes on phones and tablets will be a massive category, and with the area’s web incumbents seemingly reluctant to move to mobile, the way is clear for Crittercism to dominate the space. The company is already seeing rapid adoption from enterprise customers and raised $5.5 million from Opus Capital, Shasta Ventures and Google Ventures in June 2012. Crowdtilt: $2.1 million. San Francisco-based Crowdtilt allows groups to easily pool funds online for objectives, from vacation rentals or gifts to school programs. It has recently begun offering tax-deductible donations for non-profits and launched an API to allow third parties to utilize its group payment capabilities. Crowdtilt raised $2.1 million in May 2012 with investors, including SV Angel and CrunchFund. Diffbot: $2 million. Palo Alto-based Diffbot is a visual learning robot technology that can analyze websites much like a human would. The company’s APIs enable developers to build apps that understand the various elements of a web page and extract specific elements such as text or images. Diffbot’s technology is used by some of the world’s largest content companies, including AOL. The company raised $2 million in May 2012 from various investors, including Matrix Partners and (disclosure time) me. Dropcam: $12 million. San Francisco-based Dropcam is a video-monitoring product that allows users to view real-time HD footage of their home, business or sleeping baby on phones, tablets and computers. The company’s combination of quality hardware and slick software makes it the leading player in the burgeoning Wi-Fi video monitoring space. Dropcam raised $12 million in June 2012 from Menlo Ventures, Accel Partners and Bay Partners. Dwolla: $5 million. Iowa-based Dwolla provides a free web-based software platform that allows users to send, receive and request funds from any other user. The company uses new technologies to help lower costs and protect against fraud, enabling it to set a maximum transaction cost of 25 cents. Dwolla’s online and mobile platforms are gaining huge traction in a $300 trillion category and the company raised $5 million in February 2012 from various investors, including Village Ventures and Thrive Capital. eXelate: $12 million. New York-based eXelate provides digital advertisers with unique insights into individual consumer behavior that allows for highly targeted ads. But the company does not track or store user data, making it a perfect partner for advertisers looking to comply with privacy regulations. Currently in use on more than 15 ad networks, eXelate is in expansion mode having raised $12 million in September 2012 with backers, including Menlo Ventures, Trident Capital and NewSpring Capital. Kidaptive: ~$1million. Palo Alto-based Kidaptive is a media and technology company that creates interactive educational iPad experiences aimed at children. The company’s apps are developed with the input of professional educators and allow parents to track their child’s progress. Kidaptive raised an undisclosed amount (rumored to be about $1 million) in October 2012, with investors including Menlo Ventures and CrunchFund. LeapMotion: $12.75 million. San Francisco-based Leap Motion (previously OcuSpec) is developing gesture-based controller technology that will be more powerful, less expensive and work across multiple platforms. The controllers could be bundled with PCs and notebooks to radically enhance the experience and functionality of certain apps. LeapMotion raised $12.75 million in May 2012 in a Series A round led by Highland Capital Partners and has raised a further $30 million this year. Poshmark: $12 million. 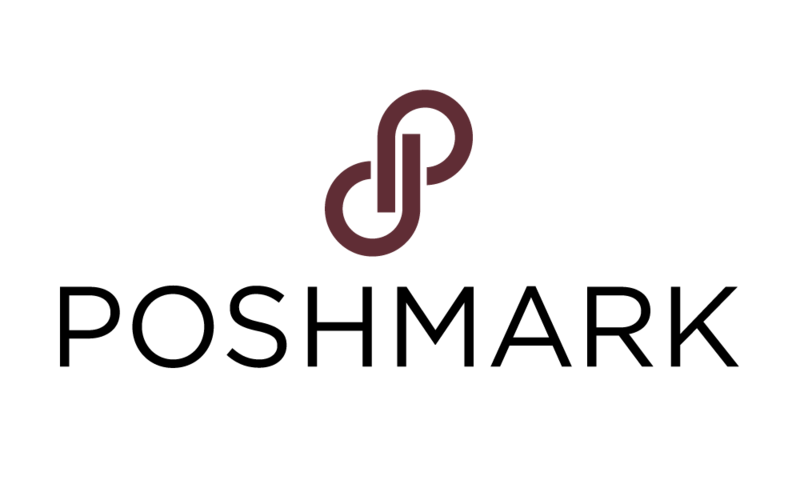 Menlo Park-based Poshmark is a mobile app and website that lets users buy and sell clothes and fashion accessories from each other, while time-specific “parties” allow groups of users to host themed sales events. The company already services $100 million worth of inventory on an annual basis. Poshmark raised $12 million in December 2012 with investors including Menlo Ventures and Mayfield Fund. Snapchat: $8 million. San Francisco-based Snapchat is a photo-messaging app with a twist: a photo can only be seen by the recipient for a maximum of ten seconds before it disappears forever. 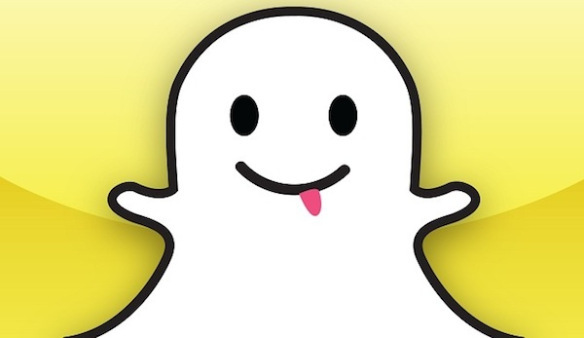 The company recently reported that it serves 60 millions snaps per days. Snapchat raised $8 million in December 2012 featuring backing from Benchmark Capital and closed out its Series A round this month for a total of $13.5 million. Tintri: $25 million. Mountain View-based Tintri provides storage solutions specifically for virtual machines. It uses smart techniques and technology to overcome the storage issues inherent in virtualization and is already helping businesses around the world improve performance while keeping costs down. Tintri raised $25 million in July 2012 from Menlo Ventures, NEA and Lightspeed Venture Partners. Tonic Health: $500,000. Palo Alto-based Tonic Health is revolutionizing medical data collection by dramatically improving the process of gathering, analyzing and using patient data (think no more boring or useless clipboards). Healthcare providers can custom create engaging patient surveys and forms and then deploy them directly to iPads or over the web. Patients have a much more enjoyable experience, and clinicians get real-time analytics on each patient, all of which results in more accurate data, improved patient screening and tracking (and thus better care), and lower provider costs. Tonic Health’s platform is already used by a wide variety of large healthcare providers, including Kaiser Permanente, the Mayo Clinic, UCLA, the VA, UCSF and Georgetown University Hospital, among others. The company raised $500,000 from various angel investors in 2012 (including me). Wanelo: $2 million. San Francisco-based Wanelo is an online shopping site whose inventory is entirely curated by its users. Like Pinterest, the experience allows people to share their favorite clothing, jewelry, items of furniture, etc. But Wanelo directly links to the item directly for purchase. The site earns revenue from affiliate commissions or a cut of items sold. Wanelo raised $2 million in June 2012 from investors including Floodgate and First Round Capital. Do you think I missed an obvious company that should have been on the list? Let me know.